New insight into the dynamics of social systems can not only help to verify the existing social behavioral theories but also contribute to problem solving in the range of areas vital for the current mobile and data-rich age. 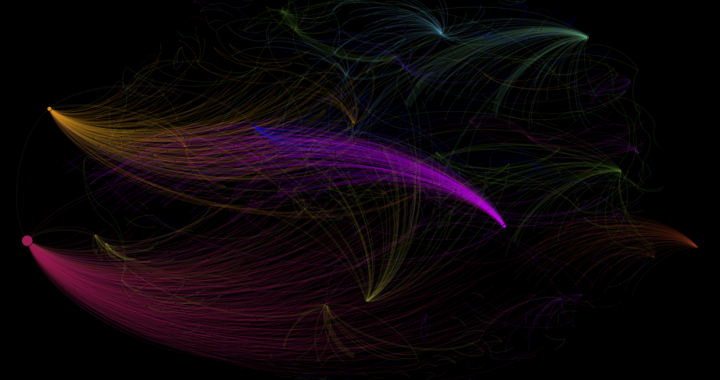 Growing evidence has witnessed the interconnected spatial patterns and relationships between cyberspace and our real world. A large number of socioeconomic and human behavior datasets can be easily collected using mobile technology and social media platforms. Coupling spatial and behavioral science research can provide effective and efficient ways to visualize and analyze these big data collected for social behavioral research. 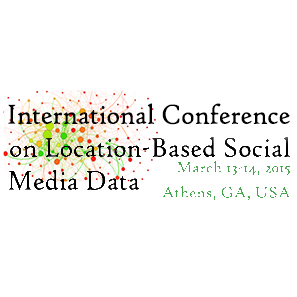 A Pre-conference Workshop (March 12) around the theme of Spatiotemporal Modeling and Analytic Tools for Geo-targeted Social Media Data will be organized at International Conference on Location-based Social Media Data (March 13-14, 2015, Athens, Georgia, USA). This workshop will focus on the introduction of several research tools for spatiotemporal modeling and analytics of geo-targeted social media data, such as information diffusion modeling over time and space, the connection between online activities and real world human behaviors, and new knowledge discovery tools or machine learning functions. This workshop is one of the outreach activities for the NSF-IBSS (Interdisciplinary Behavioral and Social Science Research) project, entitled “IBSS: Spatiotemporal Modeling of Human Dynamics across Social Media and Social Networks” (2014-2018, Award # 1416509). Email Xinyue Ye (xye5@kent.edu) or Ming-Hsiang Tsou (mtsou@mail.sdsu.edu) the paper or abstract to be included in our workshop. Following the peer-review process, highest quality research papers will be considered for publication in a special issue and possibly an edited book. Develop effective and accessible data processing, visualization, and analytical tools for social scientists to study human dynamics and information diffusion by combining high performance computing, Web geographic information system tools, agent-based modeling, and open source software. One key contribution of this project is to build a prototype for the San Diego Office of Emergency Services (OES) social media outreach platform, which may be applicable for other U.S. cities in the future. The design of the prototype is to facilitate rapid dissemination of official alerts and warnings notifications from OES during disaster events via multiple social media channels to targeted population (typically in certain area). The platform can identify and recruit top 1,000 social media volunteers based on their social network influence factors and help government agencies communicate more effectively to the public and be better prepared for both natural disasters and human-made crises. This project will foster the integration of research and education in multiple disciplines, including geography, linguistics, computer science, social science, and communication. The project website will be used to publicize our research findings to the general public and create a discussion forum to involve multidisciplinary researchers. Three summer specialist meetings will be organized to facilitate future multidisciplinary collaborations among researchers in the new research field of human dynamics.